In 2018, the Netherlands welcomed an increasingly diverse number of corporate investments, European business expansions and thousands of new jobs. The NFIA also celebrated its 40th Anniversary of helping foreign companies expand, relocate and invest in Holland. Want to take a brief look at our year-in-review? Read on for some of the top stories and global projects shared by the Invest in Holland network in 2018. 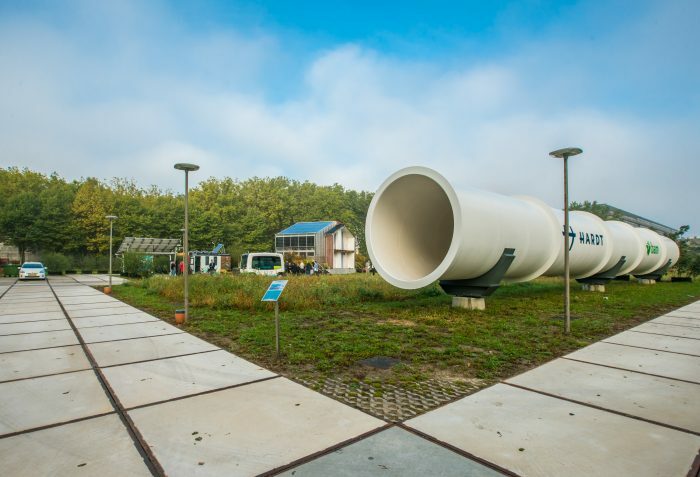 Last year, the Netherlands made strides in proving its leadership in the smart mobility sector by supporting a new transportation development: Hyperloop. Initially developed by Elon Musk, Hyperloop is a sustainable city transit system that would enable travel at speeds up to 1,200 kilometres per hour. Kraft Heinz, the multinational food giant, opened its Global Center of Excellence in Amsterdam. The global hub is the company’s largest office in Europe, Middle East and Africa region and will “become a breeding ground for the entire world,” said Rafa Oliveira, CEO of Kraft Heinz EMEA. 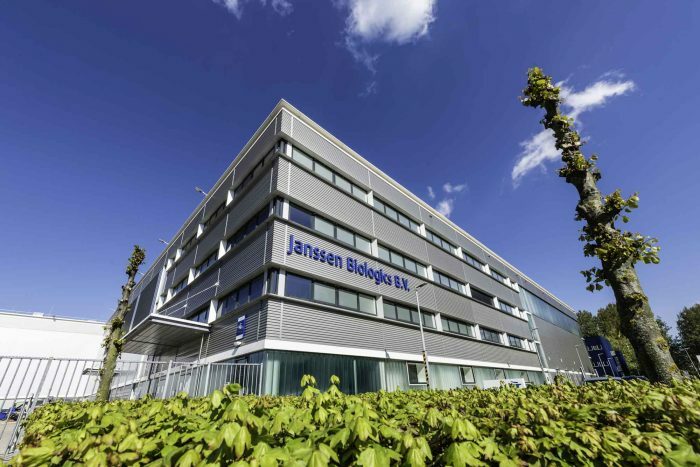 Janssen Pharmaceutical Companies of Johnson & Johnson opened its new vaccines launch facility in Leiden, the Netherlands. The state-of-the-art facility features innovative technological and manufacturing platforms that will support global health and the widespread roll-out of novel vaccines. The Netherlands’ was once again recognized as a leader in life sciences and health with the opening of Alnylam Pharmaceutical’s new office in Amsterdam. Alnylam also operates technical operations, supply chain and finance activities in the Netherlands. The Japanese company decided to expand its European film production by creating a new film line at its plant in Roermond, as well as a new resin line at its plant in Geleen. As the leader in the automotive and the architectural industry, SEKISUI S-Lec is producing wedge-shaped interlayer film for head-up displays (HUD). The Australia-based tna expanded its Dutch footprint with a new manufacturing facility in Woerden, the Netherlands. The company’s new facility also houses an expanded Food Technology Testing Center (FTTC), product demonstration area and cutting-edge food processing solutions technology. Cogoport, India’s leading online logistics company, bet big on the Netherlands last year with the announcement of a new European office in Rotterdam. The company will establish the first digital logistics corridor of the world and will utilize its Netherlands office to expand globally and connect Indian traders with European markets. Last year, Giant invested 13.5 million euros in a new distribution center in Lelystad, expanding its operations in the Netherlands for more than 30 years. The new facility will support the bicycle company’s current production facility in Holland, by providing distribution, storage and after-sales services to the Pan-European markets. The Asian dairy giant Yili cemented its commitment to innovation with the opening of its state-of-the-art R&D facility on the Wageningen University and Research campus. 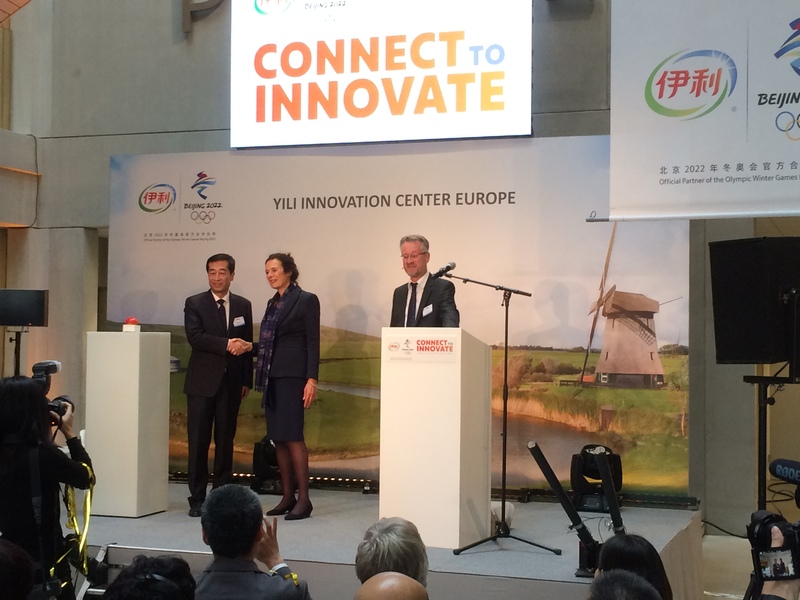 The facility is now the basis for Yili’s European R&D operations. Jellice Pioneer Europe celebrated the grand opening of its expanded production facility in Emmen, the Netherlands. The Japan-based international manufacturer of high-quality gelatin is expected to double its annual production capacity and is the most modern gelatin factory in Europe. Celebrating 150 years of food innovation in the Netherlands, Nestlé opened its new factory in Nunspeet. King Willem-Alexander of the Netherlands officially opened the innovative factory that is the only location in the world to produce baby formula with a cow’s milk protein allergy. Holland’s largest fish farm on land was officially opened by Kingfish Zeeland and Mr. Jo-Annes de Bat, Provincial Executive of the Province of Zeeland. The farm cultivates Yellowtail sustainably by leveraging 100 percent green energy innovative aquaculture technology. Ørsted’s was given the green light to build its operations and maintenance (O&M) facility for the Borssele 1+2 offshore wind farm, furthering its commitment to green energy. Located in Vlissingen-Buitenhaven in North Sea Port, the wind farm has a capacity of 752 MW and will create additional jobs in the offshore sector. 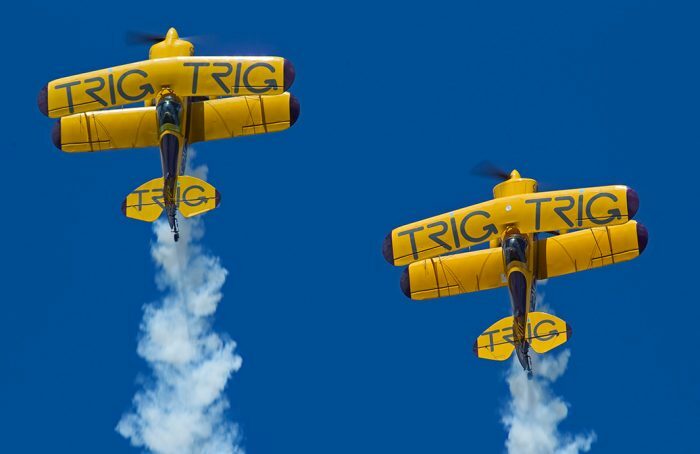 Trig Avionics, the Scottish avionics manufacturer, selected Amersfoort, the Netherlands as the location to open its new European office. 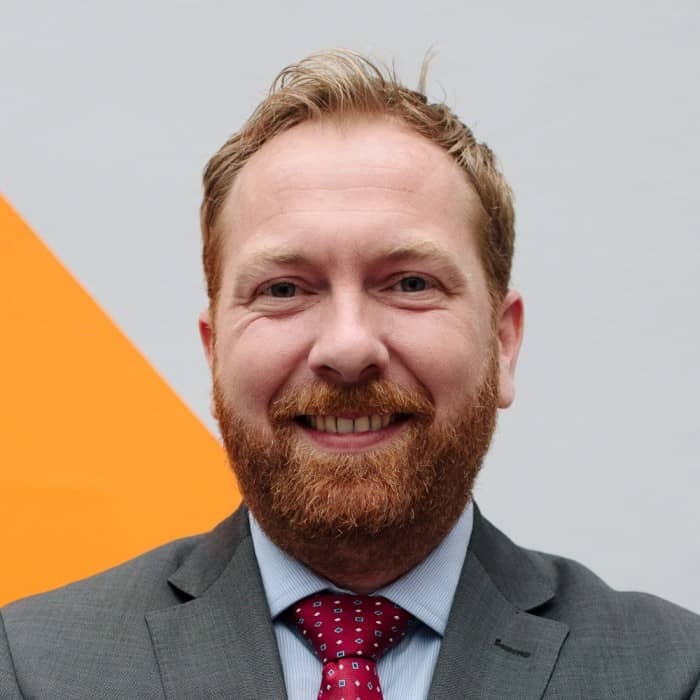 The Edinburgh-based company will utilise the Dutch talent pool to enhance its service offerings and build on its recent success. British tech start-up DAZN announced plans to build a brand-new development centre in Holland. The office will be located in Amsterdam and create 300 jobs by 2020. As the world’s first pure sports streaming service, DAZN’s new centre will be home to the R&D and Innovation, Acquisitions and Retention, and Third-Party Integration teams. Interested in doing business in Holland? Contact us for more information.